Which route is best for you? 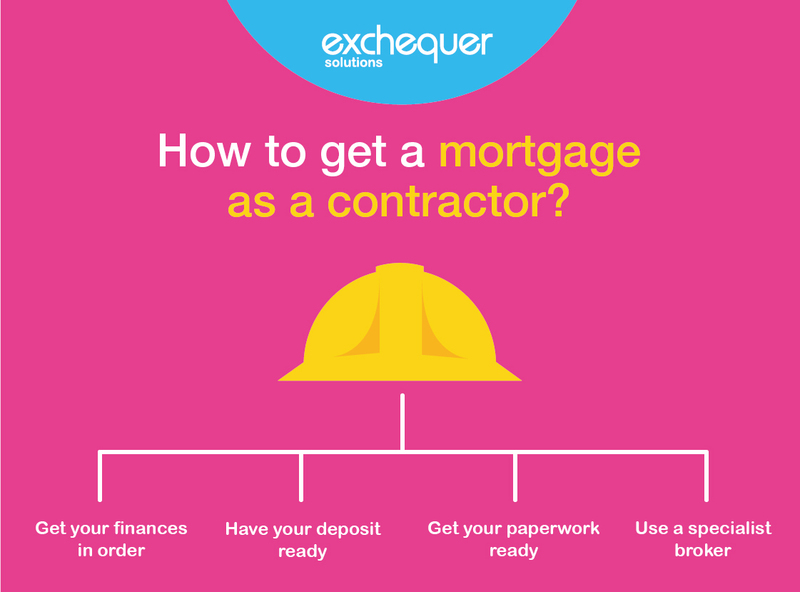 Contractor mortgages present a unique set of problems that our clients often ask about, so we have compiled a specialist FAQ on How to get contractor mortgages. Working as a contractor and moving frequently from one assignment to another can have its advantages. The flexibility and variety of work really appeals to many people but flexibility often comes at a price and the lack of job security can sometimes make it more difficult to secure a mortgage or loan when working as a contractor. So if you are hoping to buy your first home or to move house in the near future what should you do? Don’t be put off. It isn’t impossible and there are specialist contractor mortgages available designed specifically freelancers, the self-employed and all other contractors. However, if you are an Exchequer umbrella employee then you will have a contract of employment which put you in a strong position to make an application for a mortgage. 1) Get your finances in order. Before you do anything else, we would recommend looking closely at your finances. Check your credit rating if you have any concerns about it and make sure you have a clear understanding of your monthly outgoings and what you can realistically afford in monthly mortgage payments. 2) Have your deposit ready. Make sure you have a reasonable amount saved to put down as a deposit. The amount you put down as deposit will dictate your loan to value (or LTV as it is commonly referred to) the bigger your deposit is the better your chances are of securing a mortgage and you will have a greater choice of mortgage products too. 3) Get you paperwork ready. Depending on how much you usually earn and how much you are asking to borrow you will probably be asked to provide recent payslips by your prospective mortgage advisor. Don’t worry if you receive these electronically, (the majority of our umbrella employees do) you can simply print them and produce them just as you would an old-fashioned payslip. 4) Consider using a broker. If you have you own registered as a limited company, then contrary to popular belief this shouldn’t make getting a mortgage a nightmare. However, it is important to be realistic and it may take more than a quick visit to you high street bank to sort everything out. 5) Part of the problem is that advisors in high street banks and building societies are working to very specific lending criteria. It is also probably fair to say that in some cases they don’t necessarily understand how contracting works. Consequently, they might perceive you as a higher risk. If the high-street banks and building societies are giving you the cold shoulder, then it is worth speaking to a specialist in contractor mortgages. There are many specialist mortgage providers out there and they don’t all charge contractors higher rates. A specialist, independent mortgage brokers might also be able to help. If you are registered with us and need paperwork from us to support you in getting a mortgage as a contractor, such as historical payslips then we will be happy to help. Please speak to your Account Manager.